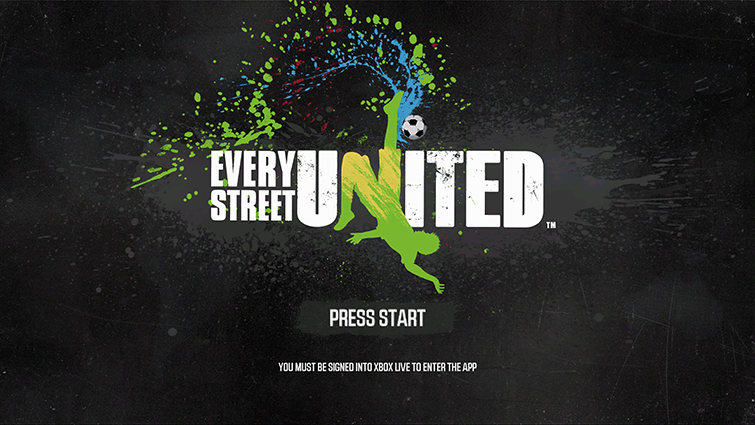 Learn how to set up and use the Every Street United app on your Xbox 360 console. At least 409 megabytes (MB) of available space. Browse for Every Street United. Select Every Street United to download and install the app. After the download, the app automatically starts, and you can browse through and view details about the available content. To start the Every Street United app later, go to apps, My Apps, and then Every Street United. On your Xbox 360 console, go to Video, My Video App, and then Every Street United. Select PRESS START when you see the Every Street United entrance screen. 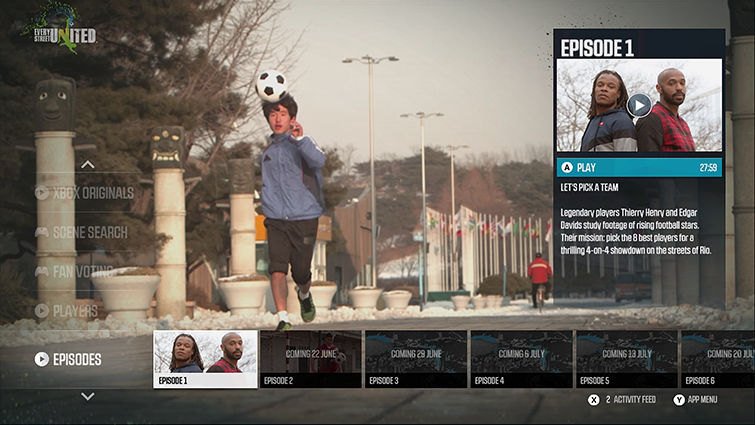 Once you’re in the app, you can scroll down the left side of the screen to select Episodes, Players, Fan Voting, Scene Search, or Xbox Originals. You can also navigate inside any of these hubs to browse for additional content. Press Y to access the APP MENU if you want to switch users, view controller settings, access the Kinect Tuner, or exit Every Street United. If you use Family Settings to control which movies and TV shows can be watched through Xbox Live on your console, the Every Street United app will follow those settings. 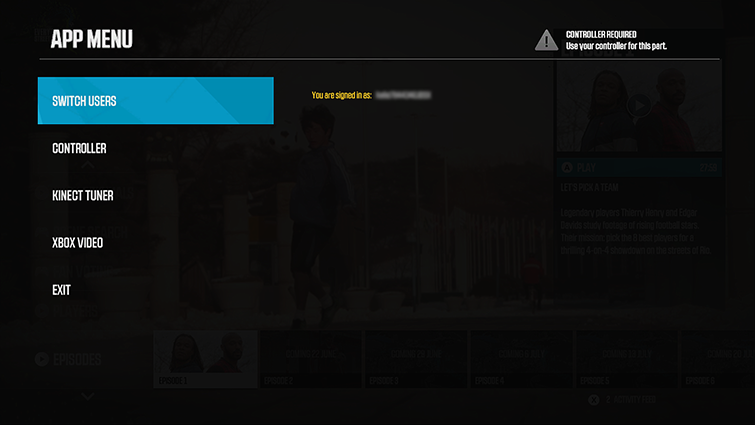 For example, if you use parental controls to restrict some kinds of TV programs, those programmes will be marked with a "restricted" icon in the Every Street United app. To play a restricted item, an adult must enter the Family Settings pass code. Would you like to contact Support regarding the "Install and watch the Every Street United app on Xbox 360" issue you were reading about or a different issue?